The Milky Way Fudge chocolate bar features a milk chocolate candy bar with a layered filling of fudge nougat and caramel. The suggested price for a 3-oz share size bar is $1.69 but I received this one courtesy of Milky Way. 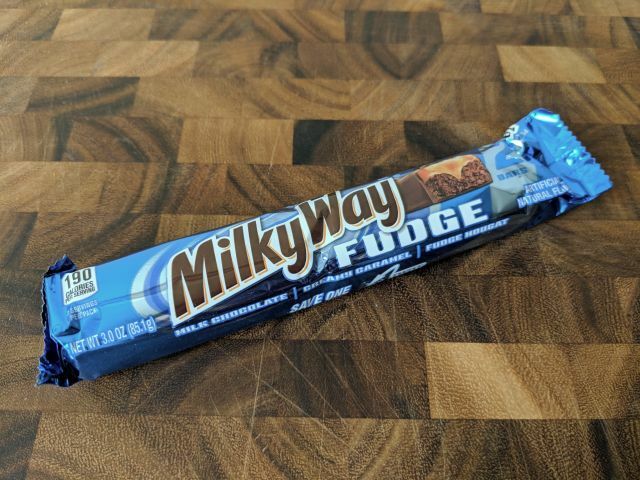 The Milky Way Fudge bar is the same as a regular Milky Way bar but with a much stronger chocolaty note to the nougat. If you've never had a Milky Way bar before, it's basically a Snickers without the peanuts or a Three Musketeers bar with the addition of caramel. 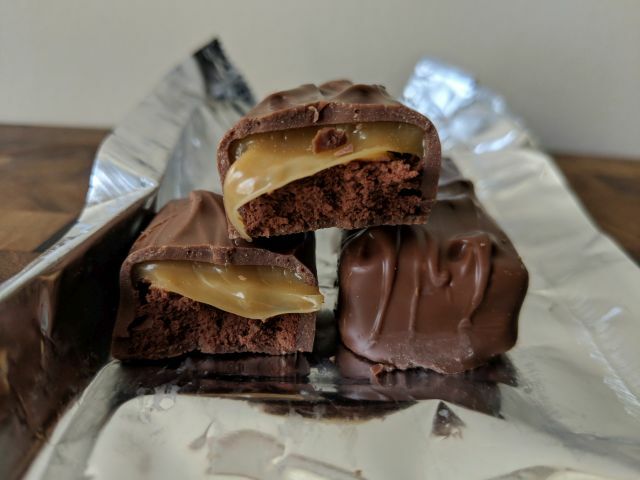 Essentially, with the Milky Way Fudge, you get a rich, chocolaty, fluffy nougat paired with a mild, just slightly chewy caramel, plus some lightly creamy milk chocolate to hold it all together. It's pretty good if you're looking for an intensely chocolaty take on a Milky Way but I prefer the original for more of a contrast between the milk chocolate and the nougat.